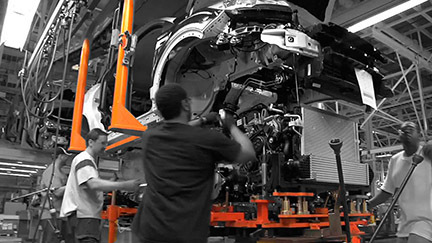 Cullman, Ala., already has a significant automotive parts supplier employment base. Cullman is just 48 miles south of the Toyota-Mazda site that is also located on I-65. Cullman County is rich in automotive suppliers, most of which are foreign-owned. 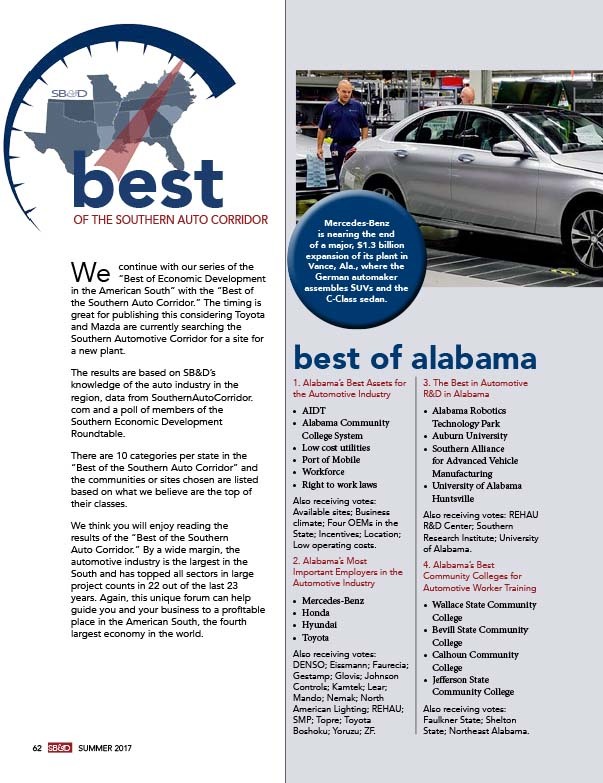 Located on Interstate 65, 48 miles south of the Toyota-Mazda site that is also located on I-65, Cullman has consistently been named among the top Micropolitans in the South by Southern Business & Development in project activity. Wallace State Community College in nearby Hanceville, Ala., is considered one of the best, if not the best, community college for workforce training in the state. Cullman has a thriving downtown, local leaders supportive of growth, and an exceptional school system. The high quality education system is matched by excellent healthcare options. If you don’t want to compete with Toyota-Mazda’s workforce, you might want to take a look at Jackson County, Ala. Located adjacent to Madison County in the far northeast corner of the state, Jackson County is about 55 miles from the Toyota-Mazda site. Its county seat, Scottsboro, is 73 miles from the site. In March, Google officially broke ground on a $600 million data center in Jackson County. Most of the industrial parks in Jackson County are rail-served and the population within a 50-mile radius of Jackson (including parts of Huntsville) is nearly 250,000. School systems in Jackson County rank in the top 20 percent in the state of Alabama. The Earnest Pruett Center for Technology (EPCOT) is the No. 1 high school technical program in Alabama. EPCOT is located adjacent to Jackson County Industrial Park. Florence, the county seat of Lauderdale County, Ala., is 43 miles from the Toyota-Mazda site in Huntsville and 96 miles from the Toyota assembly plant in Blue Springs, Miss. So, logistically, a supplier building a plant in Lauderdale County or any counties in the Shoals region of Northwest Alabama can serve both facilities. The Shoals Economic Development Authority (SEDA) works to capture projects in the Northwest Alabama region, including Lauderdale and Colbert Counties. SEDA currently owns and operates four industrial parks in Northwest Alabama with a combined acreage of 3,792 acres. Of that acreage, approximately 1,100 acres are available for prospective industry. Another 1,850 acres are available for industrial use at eight other parks and sites. Automotive supplier North American Lighting operates a large plant in the Shoals region, where it employs over 1,600 workers. 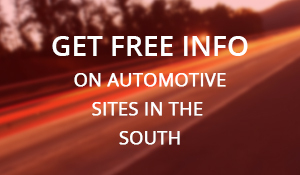 Even though the Toyota-Mazda site is in the city of Huntsville (which is in Madison County), the site is technically in Limestone County, just off I-65. Limestone County is ground zero for the Toyota-Mazda plant. The county is growing rapidly, with a 10-year growth rate of 26 percent. With the arrival of Toyota-Mazda, that growth will expand exponentially. There’s been no news on whether Toyota-Mazda will build a supplier park near or at the site of the new plant. Regardless, Limestone County is home to an abundant number of industrial sites, ranging from 100 acres to a 2,000-acre megasite. The Mazda-Toyota project was captured by Huntsville, Ala., one of the South’s most innovative cities. Huntsville, the county seat of Madison County, was recently ranked by U.S. News & World Report as the seventh best place to live in the U.S. That ranking topped Nashville and Raleigh-Durham, among other outstanding places to live. Madison County has a flourishing job market and it’s where most of the 4,000 workers for the Toyota-Mazda plant will be drawn from. Huntsville was almost picked by Volkswagen in 2008 for its plant that went to Chattanooga. With the addition of Toyota-Mazda to the city, the Huntsville region is without question one of the most diversified economies in the South. Military, space, telecommunications and biotechnology all thrive in Madison County. Madison County has an estimated population of 365,000. Parts of Marshall County are only about 40 miles from the site of the Toyota-Mazda plant. Guntersville, the county seat, is roughly equidistant (60 to 90 minutes) from both the Honda assembly plant in Talladega County and the Toyota-Mazda site in Limestone County. Both are Japanese automakers, so if your company supplies Honda’s plant and plans on supplying the Toyota-Mazda plant when built, Marshall County would be a good fit. Residents of Marshall County enjoy a lower cost of living and have access to many recreational opportunities, including water activities on and around the Tennessee River and Lake Guntersville. The schools in Marshall County are consistently ranked above average in statewide tests. Located about 15 miles from the site of Toyota-Mazda is Decatur and Morgan County. Also on Interstate 65, Morgan County is supported by a diverse industry base, including automotive, aerospace, food processing, steel processing and chemicals. Morgan County is also home to the Robotics Technology Park. Workforce training in robotics is more active in this part of North Alabama than any other part of the state. 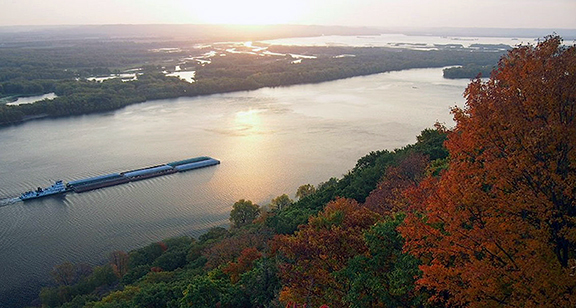 It is also home to the Mallard-Fox Creek Port on the Tennessee River. The port is served by Norfolk Southern and there is industrial land available at the port. With the completion of Interstate 22 from Birmingham to Memphis, Walker County has seen a significant increase in project activity. 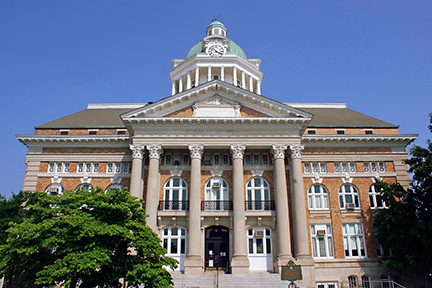 Jasper, the county seat, is located about 75 miles from the Toyota-Mazda site. Walker County is also about 72 miles from the Mercedes-Benz plant in Tuscaloosa County, 80 miles from the Honda assembly plant in Talladega County and 105 miles from Toyota’s plant in Blue Springs, Miss. Recently, Japanese parts supplier Yorozu opened a large facility in Walker County. Yorozu already supplies Toyota and Mazda, so it’s highly probable the new plant in Walker County will supply the new Toyota-Mazda plant when it opens in three years. Elizabethtown and Hardin County, Ky., are about 200 miles from the Toyota-Mazda site in North Alabama. Both are on Interstate 65. Hardin County has plenty of Toyota suppliers now because it is located just 90 miles from Toyota’s largest North American assembly plant in Georgetown, Ky. Hardin County is also 40 miles from Ford’s two assembly plants in Louisville and 75 miles from GM’s Corvette plant in Bowling Green. Hardin County has a thriving manufacturing sector, with many industries manufacturing components for the automotive sector. Hardin County is centrally located to assembly plants in Kentucky, Tennessee, Alabama and the Midwest. The county is poised for significant additional growth in advanced manufacturing with the 1,551-acre Glendale Megasite. The site is certified by CSX Railroad and is located on Interstate 65 and a CSX mainline. From Louisville and Jefferson County, parts suppliers can serve both the Toyota assembly plant in Georgetown, Ky., and the Toyota-Mazda plant in Huntsville, Ala. Manufacturing is thriving in Louisville as Forbes has called the metro a manufacturing “boomtown” two years in a row. 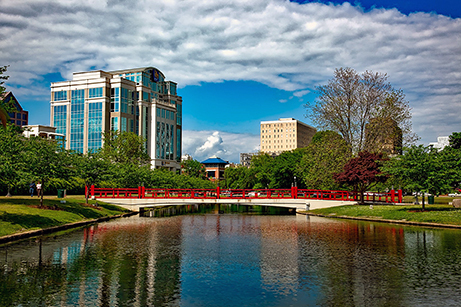 Louisville is also an outstanding place to live with a vibrant central business district. The Louisville region’s labor productivity is 50 percent higher than the national average and the metro’s manufacturing employment is 20 percent greater than the national average. There are 14 major automotive OEMs within 250 miles of Louisville, and when the Toyota-Mazda plant is built, that will make it 15. Bardstown, Ky., is located in between the massive Toyota plant in Georgetown, Ky., and the site of the Mazda-Toyota plant in Huntsville. Bardstown is the county seat of Nelson County. Bardstown continues to be included in the list of the “Top 10 Best Small Towns in America.” Bardstown was also named the “Most Beautiful Small Town in America” by RandMcNally and USA Today. Nelson County is about 250 miles from the Toyota-Mazda site in North Alabama, but only 65 miles from Toyota’s Kentucky plant. There are several Toyota parts suppliers located in Nelson County, including Toyota Boshoku. Population growth in Nelson County has been in double digits of late and the county continues to be one of the fastest growing areas of the Commonwealth. This small county of about 18,000 people is a straight shot down Interstate 65 to the Toyota-Mazda site in North Alabama, 140 miles away. Why pick Simpson County for one of the best sites for parts suppliers to Toyota-Mazda? Well, the folks running the Franklin-Simpson Industrial Authority really know the practice of economic development. There seems to always be at least one spec building available in the county and there are over 400 acres of available industrial land. The county features high speed internet service, a state-of-the-art technical college and CSX Railway access. Here is another county in Kentucky that sees high volumes of deal activity. Located to the north of Simpson County, the interstate that fronts the Toyota-Mazda site (I-65) runs right through Warren County and Bowling Green, Ky. Home to a GM plant, Warren County is approximately 155 miles north of the Toyota-Mazda site and 155 miles southwest of the Toyota plant in Georgetown, Ky. . .so equidistant to both plants. Warren County is home to Western Kentucky University, and the South Central Kentucky region has grown by 22 percent in the past nine years. Interestingly, there are no local sales tax or production equipment taxes in Warren County. The Nashville International Airport is only one hour from Bowling Green. I just visited Corinth, Miss., and Alcorn County. Great place with a dual rail — true dual rail — site. The 145-acre site (with another 160 acres available) is controlled by the Corinth Alliance, the local economic development agency. Alcorn County and Corinth, Miss., are located in Northeast Mississippi, just 50 miles north of Toyota’s Corolla assembly plant in Blue Springs, Miss., and 100 miles from the new Toyota-Mazda site. Alcorn County is within 250 miles of 10 assembly plants in the Southern Automotive Corridor. The public schools in Corinth are first-rate and the Northeast Mississippi Community College in neighboring Prentiss County, with a satellite campus in Corinth, provides valuable services to business and industry through its Division of Workforce Training and Economic Development. Itawamba County, Miss., is the first county you hit when driving on Interstate 22 from Birmingham to Memphis. The county seat is Fulton, which is 110 miles from the Toyota-Mazda site in Huntsville, Ala., and only 35 miles to the Toyota Corolla plant in Blue Springs, Miss. In fact, if there is lots of interaction between the two Toyota facilities, you must drive through Itawamba County to get to either plant. Itawamba County’s population is just shy of 25,000. It’s a small county, but its location is perfect for Toyota-Mazda suppliers. The Itawamba County School District is the No. 10 school district in the state of Mississippi. Furthermore, Itawamba County is also home to Itawamba Community College, which has been rated as the No. 6 community college in the nation. Tupelo and Lee County, Miss., have a rich history in the practice of economic development. Long the home of the furniture industry, the county was immersed into the automotive industry when Toyota opened a plant in neighboring Union County in the fall of 2011. That Union County plant builds the Corolla model, which will also be assembled at the Toyota-Mazda plant in Huntsville. The Community Development Foundation (CDF), one of the first economic development agencies formed in the United States in the late 1940s, has made major contributions to Lee County with the development of nine industrial parks. CDF has been characterized by many as an organization that is at the center of innovation, as well as the most significant force in rural American economic and community development. Downtown Columbus, Miss., is a dynamic market that has captured an impressive number of automotive and aerospace manufacturing projects. Columbus is 86 miles from the Toyota plant in Blue Springs, Miss., and 150 miles to the Mazda-Toyota site. Here is another famous place that is home to a well-known, highly successful economic development agency, the Golden Triangle Development Link. You may have seen its CEO Joe Max Higgins on 60 Minutes recently. The Golden Triangle references a region in North Mississippi encompassing Columbus, Starkville and West Point. The GTR LINK boasts a record of nearly $6 billion in investments and nearly 6,000 jobs created in just over a decade. The organization has secured many industrial sites, including the Prairie Belt Powersite and the Infinity Megasite. Lowndes County is located 80 miles from the Toyota plant in Blue Springs, Miss., and 150 miles from the Toyota-Mazda plant site. Monroe County is located just north of Lowndes County, just 35 minutes from Toyota’s Mississippi plant in Blue Springs. It is located about 125 miles from the Toyota-Mazda site in North Alabama. Monroe County is also located on the Tennessee Tombigbee Waterway, which connects the Port of Mobile to the Tennessee River. The BNSF mainline runs through the county halfway between Birmingham and Memphis. Monroe County is halfway between Tupelo (Lee County) and Columbus, Miss., (Lowndes County). Prentiss County is located in extreme Northeast Mississippi, 115 miles west of the Toyota-Mazda site and 30 miles from Toyota’s plant in Blue Springs, Miss. This county is also on the Tennessee Tombigbee Waterway and it is served by KCS rail. Parker Hannifin, an automotive supplier, operates a large plant in Prentiss County. The biggest draw to Prentiss County is that it is home to Northeast Mississippi Community College in Booneville. Industrial sites and buildings are readily available at several locations in the county. County and municipal governments are very cooperative in accommodating the needs of new and expanding businesses. Tishomingo County, Miss., is home to many rail-served industrial parks, including the 3,500-acre Tri-State Commerce Park. The county is about 80 miles from the Mazda-Toyota site. Pictured is the Yellow Creek Port. Tishomingo County has captured some outstanding projects over the years, particularly in the steel industry. Located just across the border from Lauderdale and Colbert counties in Alabama, Tishomingo County is 60 miles from the Toyota plant in Blue Springs, Miss., and just 84 miles from the Toyota-Mazda site. There might not be a rural county in the South that has more and larger industrial parks than you will find in Tishomingo County. The Tri-State Commerce Park features 3,500 acres with a rail yard, barge dock and 24/7 security. It also has a crane with capacity of 400 tons, dual feed electric power and an onsite fire department. There are also several more industrial parks in the county. Union County is home to Toyota’s Mississippi assembly plant. The county is located on Interstate 22, one hour from Memphis International Airport and 150 miles from the Toyota-Mazda site in Huntsville, Ala.
Northeast Mississippi Community College has a branch in New Albany and the two school systems are rated Level 5 or Level 4, the state’s highest ratings. Historically, Union County has been a manufacturing location as it is considered the birthplace of Northeast Mississippi’s furniture industry. Giles County, Tenn., is just across the state line from Limestone County, Ala., only 15 miles at its southern border from the Toyota-Mazda site. Giles County has about 29,000 residents, and one of its largest employers is Magneti Marelli, a manufacturer of automotive lighting. In fact, several large automotive suppliers operate in Giles County. Giles County is just across the state line from Limestone County, Ala., only 15 miles at its southern border from the Toyota-Mazda site. It is located 58 miles south of Nashville and 40 miles north of Huntsville, two of the South’s most progressive cities. 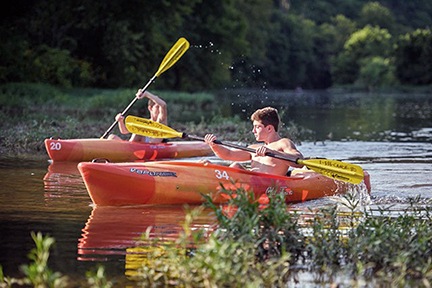 Lawrence County, Tenn., has plenty of outdoor amenities and is located about 50 miles from Mazda-Toyota. Lawrence County and Lawrenceburg are located just across Tennessee’s border with Alabama, approximately 40 miles from the Toyota-Mazda site in Huntsville, Ala. Lawrence County has been fertile ground for companies like Dura Automotive, Modine, Graphic Packaging, Hughes Parker Industries, Bertolini, InMotion Robotics and 3D Systems. The Lawrence County School System works closely with local industry to make sure its programs help prepare students for success in today’s job market. The county is also home to Columbia State Community College’s Lawrence Campus. Fayetteville and Lincoln County are located in southernmost Tennessee, 31 miles from Huntsville and 82 miles from Nashville. Fayetteville, the county seat, is located 45 miles from the Toyota-Mazda site. There is a wealth of workforce training facilities in Lincoln County, including the Don Sundquist Center for Advanced Technologies, Motlow State Community College and the Tennessee College of Applied Technologies. Industrial sites in Lincoln County are numerous at the Bullington and Fayetteville-Lincoln County Industrial Parks. Maury County is home to a large General Motors assembly plant and is a hotbed for automotive suppliers. The county is in the heart of automotive manufacturing in the U.S. In fact, 14 OEMs are within 250 miles of Maury County. The county also has a wide selection of available sites and buildings, many with direct highway access or Interstate 65 access. The southernmost border of Maury County is only about 50 miles from the Toyota-Mazda site. Maury County is part of the Nashville MSA. Considering birth rates are at all-time lows and the sentiment of this administration is to cut immigration, there is no question we are headed for some kind of labor crisis, possibly later this year. . .certainly next year if the economy keeps humming along. Of course, a recession and jobs eliminated by artificial intelligence and automation are the wild cards. Experts’ opinions are all over the place on that subject, so any predictions on job losses tied to automation would be mere speculation at this point. Experts at the Federal Reserve reported in February that the U.S. is “beyond full employment,” meaning we have many more jobs available, but not enough unemployed individuals to fill those jobs. Now, experts are calling the situation the “body gap,” moving past the “skills gap.” Simply put, there are not enough available people in this country to fill the available jobs. Noted economist Dr. Nariman Behravesh, the chief economist of IHS, told me late last year there are about 1.5 million unemployed individuals suited for full-time positions in the U.S. There are 6 million jobs available in the U.S. And it’s not just low birth rates and reductions in immigration that are straining the labor force. The opioid epidemic — an estimated 2.6 million abusers in the U.S. — is also affecting the workforce. So, what’s the answer to a labor force gone bare? Well, there are two choices and only two. One is to responsibly increase immigration to about 2 million to 3 million people per year, up from last year’s 1 million, which was the average under the Obama administration. But, the current administration has made it clear it wants to cut legal immigration to 500,000 a year. As it relates to the current labor force, cutting immigration could have grave implications for companies wishing to grow in the U.S.
An increase in responsible immigration is an immediate fix for the labor crisis that we are about to endure. In fact, many companies are already feeling the labor crunch effect. Tech companies — huge users of immigrant labor — have 1.5 million jobs that cannot be filled now. Of course, the long-term fix for our labor issues are higher fertility rates and birth rates. There are no other solutions. None. Zero. Zippo. In December, House Speaker Paul Ryan said, “This is going to be the new economic challenge for America: People. We have to have higher birth rates in this country. We have something like a 90 percent increase in the retirement population but only a 19 percent increase in the working population in America. So what do we have to do? Be smarter, more efficient, more technology. . .still going to need more people,” Ryan said. Yes, we are in a baby bust and there are no signs that tell us it will end anytime soon. Apparently Millennials believe they cannot afford children, or at least multiple children. However, there is some good news in the demography department for the South and for companies that want to establish a presence in the region. Recent data shows the influx of new residents to the South is back to normal, after several years during and after the recession of low migration numbers. For the most part, those low migration numbers from 2007 to 2012 centered on the fact that folks up North couldn’t sell their homes. For most of us, if you can’t sell your house, you’re not moving. U.S. Census data that came out in the winter quarter showed a huge influx of new residents in the South from other states outside the region. Between July 1, 2016 and July 1, 2017, the South added 1.24 million additional residents that came from states outside the region, well above the second-fastest growth region — the West — with its migration increase of 765,672 people. The Midwest saw meager gains of only 201,183. The Northeast saw an increase of just 111,221 residents. The migration patterns from 2016 to 2017 as calculated by the Census Bureau are essentially the average population gains that the South has seen over the past 60 years. Yet, migration to the Northeast and Midwest has dropped like a rock since we did this report seven years ago. In terms of population gains and migration gains from other U.S. states, Texas and Florida dominate the South. As written, the U.S. as a whole has not seen 1 percent growth in population since 2002. However, Census estimates show that Texas, Florida, Georgia, North Carolina, Tennessee, South Carolina and Washington, D.C., will grow by over 1 percent in 2018. No states in the Midwest or Northeast are expected to grow by 1 percent or more in 2018, however, two states in the West are expect to grow by almost 2 percent — Nevada and Utah. Other states in the West expected to grow by 1 percent or more this year include Washington, Colorado, Oregon and Arizona. Gross product output is very interesting to watch as the South is without question pulling away from all other regions. In 2016 (latest data available), the 15-state American South contributed a record $6.62 trillion to the United States’ economy, which saw a GDP totaling $18.57 trillion. The West is in second place with $4.6 trillion. Currently, the South’s economy is more than half the size of China’s. The South is now the third largest economy in the world, behind China and the U.S. Gross product output is very interesting to watch as the South’s is pulling away from all other regions. In 2016 (latest data available), the 15-state American South contributed a record $6.62 trillion (that’s with a “T”) to the United States’ economy, which saw a GDP totaling $18.57 trillion. The South’s figure represents well over a third of the nation’s output. The West contributed $4.61 trillion, which was more than any other region other than the South. Take California out of the West, and its GDP totals a mere $2 trillion. Back to gross product. The complete blowout of the South’s gross product in 2016 means the region is no longer the fourth largest economy in the world. The South has been the fourth or fifth largest economy in the world based on GDP for more than 25 years. In 2016, the South blew past Japan and Germany with a gross product that is more than half the size of China’s. Shown below are the top 10 economies in the world, with regions of the U.S. factored in when it comes to GDP in calendar year 2016. The values are based on U.S. dollars. The last time we ran this story comparing the economies of the four U.S. regions, Boeing was not set up in South Carolina or Airbus in Alabama. In terms of adding to gross product and exports, aerospace is a huge player in the South. It is the largest export for most Southern states. Also, the last time we ran this story we were in recession. The South’s automotive industry was in the tank, as was the region’s financial services industry. Today, those two huge Southern sectors are at the top of their game. So, it isn’t any wonder that total output in the South is at all-time highs at $6.6 trillion. Never before has any U.S. region reached the $6 trillion output threshold. The South is pushing for $7 trillion today. There are several ways the South achieved its rise to third place in 2016. It has diversified its economic base like no time ever. Its in-migration from other U.S. regions is back to levels not seen since the 1980s, 1990s and before the Great Recession. Well-educated immigrants from other countries now want to live in the South as opposed to other regions because the South remains the least expensive place in the U.S. to live and operate a business. Furthermore, the South is unlike any of the other three regions in this very important demographic: No U.S. region has the number of mid-major markets the South has — Austin, San Antonio, Raleigh, Charlotte, Nashville, Orlando, Memphis, Knoxville, Charleston, New Orleans, Richmond, Birmingham, Jacksonville, Louisville, Greenville and so many others. The region is home to mega-markets such as Atlanta, Dallas-Fort Worth, Houston, South Florida and D.C. But it is the vast number of mid-majors that solidify the South’s economy and help spread the wealth. Want proof? Name a major market in Illinois other than Chicago? Name one in New York? In contrast, Florida and Texas have 10 mid-majors each. Source: World Bank. *2016 calendar year. The South’s economy, the third largest economy in the world, has been humming along nicely since 2010 when 594 projects were announced meeting or exceeding SB&D 100 thresholds. It was an awesome comeback year after the recession of 2009 cratered the “100” with just 367 projects, the lowest on record. In fact, the last four years are the best years in SB&D 100 history, averaging 693 projects announced in the South every year with at least 200 jobs and/or $30 million in investment. Yes, we are in the second longest economic expansion in this nation’s history, and the longest consecutive monthly job gain period ever. Yet, as of the spring 2018 quarter, those economic streaks are now in jeopardy. Without Congressional approval, our president slapped tariffs on allies in Europe, Mexico and Canada. According to reports, he did it for “national security” reasons. What does that mean? So why is this administration dismantling the global economic order that we — Republicans and Democrats — crafted over the last 75 years? Your guess is as good as mine because the president is really messing with a good thing. We are at full employment and there is nothing wrong with a trade deficit. We might not feel the initial effects of tariffs in the current economic expansion, but we will surely feel them when this expansion slows to a stop, aided by what are essentially taxes on goods made by our allies and others. What we need are more free trade deals not less. For instance, over the last decade, the Southern Automotive Corridor has lost out on about 10 auto assembly plants to Mexico. The main reason being is Mexico has free trade agreements (FTAs) with 46 countries. We had FTAs with 20, but that is now down to about 12, maybe less. And those who we slap tariffs on will retaliate and then less is sold and what is sold costs more. The last time we set protectionist policies was the passing of the Tariff Act of 1930, better known as Smoot-Hawley. Even then, 1,028 economists signed a petition asking President Herbert Hoover not to sign the bill. He signed it anyway. What happened? The value of global trade dropped from $4.9 billion in 1930 to $1.8 billion in 1933 and the U.S. fell into an extended depression. But, the current protectionist policies could cause more harm than in 1930. The reason is our economy is so much more global than it was in 1930. Here is an example: The 787 Dreamliner is built in North Charleston, S.C. Its forward fuselage is made in Kansas and in Japan. Its center fuselage and stabilizers are made in Italy. Its wings are made in Japan. Its wingtips are made in South Korea. Its rear fuselage is made at its main plants in Washington and at the North Charleston site. Its engines are made in the U.K. and in the U.S. Its fairings are made in Canada. Its landing gears are made in France, as are its passenger doors. And its cargo doors are made in Sweden. If there is a better example of globalization than how the 787 is made, show it to me. Now that the tariff threat is a reality, no country will be a winner and neither will you. Buckle up because your trip on the 787 Dreamliner assembled in North Charleston, S.C. is going to cost more as a result of these tariffs. After setting the tariffs on June 1, President Trump said, “Time to get smart!” There is nothing smart about protectionist policies, Mr. President. In fact, it is dangerous foreign policy. Over the years, tariffs have led to recessions, depressions, even wars. Hopefully, this is one of Trump’s on, off, on hold decisions on trade. If not, this is the worst economic decision a president has made since Herbert Hoover made his. In 60 years, the South has added 71 million people. That figure beats today’s populations of the Northeast and Midwestt combined. Of the 71 million people added in the South since 1957, 35.6 million were added in Texas and Florida. 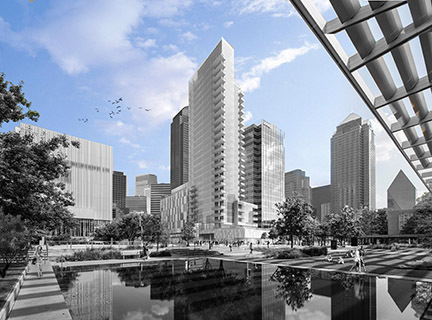 Shown here is downtown Dallas and its Arts District. In less than a lifetime, this critical site selection and labor shed factor has changed dramatically among the four U.S. regions. In fact, population variations in the West, South, Midwest and Northeast are most likely the most formidable demographic in American history. When I was born in the mid-1950s, there were only about 30 million people who lived in the 13 states that make up the West region. Today, California alone is home to almost 40 million people. But you have to go all the way to the 13th and 14th most populated states (Washington and Arizona) to find other states that really contribute to the West region’s population, which today is 78.1 million. The West has grown more than two-and-a-half times in 60 years. As for the Midwest, Northeast and the South, those three regions in 1957 all had about the same population — between 54 and 56 million. Today, the Northeast is home to 63.6 million people and the Midwest has grown from 55 million people in 1957 to 62 million today. But those figures pale in comparison to growth in the West and South. As for the South, 60 years ago it was home to 54 million people. Today, the American South has an estimated 2018 population of 124 million people, or nearly 40 percent of the entire population of the country. So like the West, it has also grown about two-and-a-half times in less than a lifetime. That growth is at the expense of the Midwest and the Northeast since those two regions have barely grown at all, adding just 15 million residents in 60 years combined. That’s about 250,000 more residents per year in the Midwest and Northeast over the past 60 years. The Northeast and Midwest are made up of 22 states. Texas alone adds more jobs per year than the Northeast and Midwest add people. In comparison, the American South has added 71 million people in 60 years, or almost 12 million new residents on average every 10 years. That’s about five times the cumulative growth of both the Midwest and Northeast totaled together. That’s an impressive 1.2 million people per year being added to the South’s population every year for 60 years on average. The West, the nation’s second largest region, has added 48 million people in 60 years, or an average of 800,000 per year. In an age of extremely tight labor, it is clear that only two regions of the country are growing; the West and the South. In fact, 60 years ago, the South, Northeast and Midwest all had about the same population. Today, the South’s population is roughly that of the Northeast and Midwest combined. The chart shows population for each region, estimated growth in 2018, and the percentage each region holds of the total U.S. population. Note the estimated 2018 population growth for each region. Not a single region is growing by 1 percent or more. In fact, the U.S. as a whole hasn’t grown its population above 1 percent in any year since 2002. That statistic is a daunting economic development challenge that all of us will face in coming years. In fact, we are already facing the effects of slow population growth as it relates to economic development. Sluggish population growth is a huge issue for developed countries worldwide, all of which are struggling with low fertility rates. Last year saw the lowest number of women giving birth in the nation’s history. According to data released by the Centers for Disease Control and Prevention, the fertility rate fell to 62 births per 1,000 women ages 15 to 44 in 2017. The culprit is a significant drop in birth rates for those in their 20s in this country. Data also shows that while birth rates are significantly down for people in their 20s, they are slightly up for those in their 30s, meaning Millennials are most likely postponing having children. Yet, birth rates for those in their 30s are not making up for birth rate losses for those in their 20s. The birth rate is incredibly important. It measures the demographic health of the country. If the birth rate drops too low, people aging out of the workforce cannot be replaced. It’s even more important considering how many baby boomers will leave the workforce over the next decade. Baby Boomers represent the largest generation in the nation’s history and millions will retire every year for the next 20 years. 2018 Population *2018 Growth % of the U.S. Source: U.S. Census Bureau. *Estimated.